Reviews for Kwik Kloset Inc. Thank you for taking the time to post your review. Dealing with sloped ceilings is a great example of where DIY or retail closet kits just don't cut it. I was a bit puzzled and frankly concerned as to why you would rate us an 8 when your comments were 100% positive. I don't need 2 hands to count reviews where we received less than a 10! I checked with Terry and I understand that due to our supplier back-ordering us there was a delay putting in a drawer or two. Please accept my apologies for that and again thank you so much for your review. 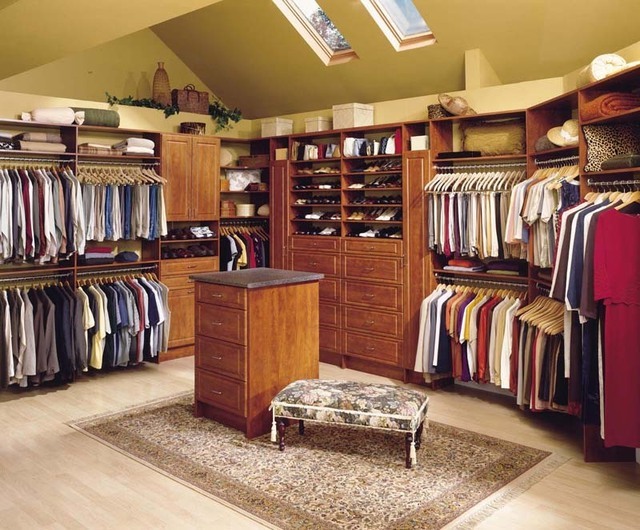 Should you decide to have more closets or other spaces outfitted by Kwik Kloset I promise this issue will not happen to you again. Enjoy your new closet! Stew from Calgary Kwik Kloset was quick to respond, investigate and install the tracking required all within two weeks of requesting a quote form HomeStars. Great service and reasonable rates. Thank you Debbie! Stew went beyond the call on this one - tracking for doors we don't sell but he looked into it, found the necessary product and took care of you. Thank you Stew!! Great job. Tom built our wardrobe unit for the master bedroom and WE LOVE IT!! I am so impressed with the quality, his knowledge, service and expertise. Tom thoroughly explained to me what was involved in building it, the time frame and my options. He was patient in explaining the job to me and in matching color to my existing furniture. He is a pleasure to deal with and I would highly recommend him to anyone seeking storage or closet space. I plan to use him again for the next project!! My goodness Anna I'm blushing... such kind words. It never fails to amaze me how just being thorough with my customers seems to be such a rarity for them. I don't know if it is the pace of our lives now or what, but if everyone just slowed down a bit and explained things properly, built their jobs well, and cleaned up after themselves, everyone would get 10 stars! Thank you so much Anna for taking the time to post your review - I don't know why the Homestars system is tagging the last couple of reviews as Uxbridge, but I hope to return to your beautiful home in Richmond Hill soon! Stay warm, I look forward to hearing from you about your next project. Brand new house and the builder goofed on the Master Bedroom walk in closet but Kwik Kloset / Tom Turnbull made it right with a fabulous design all printed out ............. so we had seven closets redesigned and what great results....way more useable and sharp! Hey Don, great to hear from you. Thanks so much for telling everyone about your experience with us. Your walk-in was a long and narrow space, but I think putting our heads together resulted in a great result for the space, and the rest of the closets we did later all went in without any issues at all - thank you to Jenna who did a wonderful job on this installation! According to Homestars you've moved to Uxbridge... maybe I'll see you at Zehr's! LOL (for you readers Don lives in Alliston, not Uxbridge). I'm sure you and Jean will enjoy your new closets for years to come - let me know if you need a home office, garage, or anything else done and we'll extend the Whole Home Discount on the new work too! Last year we found Tom Turnbull at Kwik Kloset. He did an excellent job helping us with the design of our closet space throughout our newly renovated house. Installation crew was exceptional and very professional. We got great value for our closets and highly recommend his services to anyone that wants a solid product without overpaying. Hey Joe, thanks so much for your kind words. 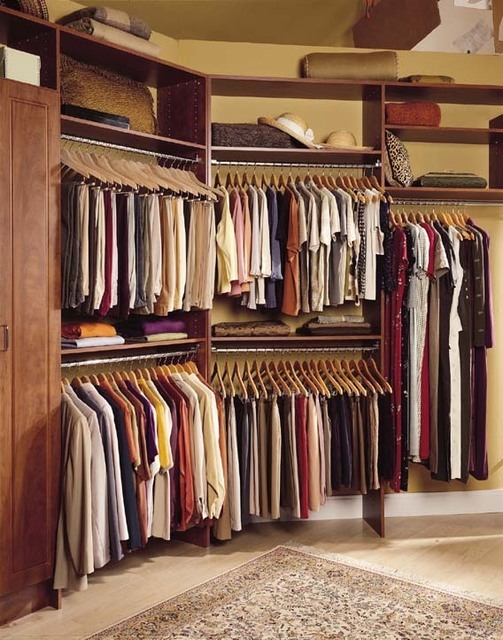 Proper closet organizers make your whole house feel more organized and spacious, don't you think? I love providing this service to customers who are renovating their home or moving into a new one. These are the best opportunities to get properly organized, and once you've lived with it, you'll never live without it!!! I wish you many years of enjoyment in your newly-renovated and beautiful home! I found Kwik Kloset on Homestars and reached out to them through their website. We wanted to do 4 closets initially but ended up with 2. Alexander first reached out and setup an appointment. On the day of the appointment, we were home and waiting but he did not show up. I called him and it turned out that he forgot about our appointment. We rescheduled to another day and this time he showed up :) We liked the experience of the initial consultation as Alexander was very methodical, frank and explained all the options that we could select. The 3D models were an excellent tool to help visualize how the closets will look when finished. After a few days, when we were ready to accept the quote, we were told that they had the wrong price list in the estimating tool and the quote had gone up. They adjusted the discount to make the increase more reasonable. Tom scheduled the installation and Jenna was our installer. Jenna's work quality was great and the finished product looks amazing. She was unable to finish the work on the first day and she came back the next afternoon to finish the job. I will happily recommend Kwik Kloset for the work quality and ease of dealing with them. Unfortunately there were some minor issues with scheduling and quotation in my case which leads me to knock off 2 stars from the review. An 8! Ouch! We haven't seen a score less than a 10 since sometime in 2015, and I can count on my thumbs reviews we've had less than a 9. I am so very sorry that Alex missed your initial appointment. Believe me I know what it is like to have people forget about appointments, it happens to me far more often than it should, both with our customers and with others who have appointments to provide me with their services! It is a very rare event in our group of professionals that we make an error like this, and our reviews testify to that. Regarding the price issue, I still don't know how the error crept in to Alex's pricing set up. Our awesome design program allows us to automate the pricing of our designs so there is no "gilding the lily" so to speak when we arrive at an upscale home with 2 Beemers in the driveway. Our price is our price, we don't care what neighbourhood you live in or what you drive. If you want a simple, budget-friendly solution or a more high-end look, we can do it and the pricing reflects what we do, not who you are. How Alex's designs got under-quoted was a technical error and I am truly sorry that my providing a discount to mitigate the pricing difference was not sufficient to get us at least a 9 instead of an 8, but c'est la vie, we can't expect all our customers to rate us a 10 but we sure as h*** try!! Sorry this is long overdue... My husband and I couldn't be more happier to find Sean completing our closets. At our first meeting with Sean at his office, within an hour, he understood exactly what we need and came with up even better suggestions and worked within our budget. When it came to the installation, he was very tidy and fast, completed the project within the time that he promised. We would refer him to all our family and friends without a doubt! Ah Sean, such a pro. Thank you Lillian for your excellent review of Sean's work. Most Kwik Kloset Spacemen bring a 'mini showroom' to our clients' homes. Sean has the additional luxury of a showroom where he can meet his clients, as Sean not only provided Kwik Klsoet services, but larger renovations around the house as well. Closet organizers are certainly a specialty of Sean's, and you can bet as an accomplished carpenter everything he does is a perfect fit, and looks outstanding. I am so glad you mentioned that Sean "worked within your budget". Budgets are a sensitive topic, as money may not be everything but it sure is important! Some Kwik Kloset Spacemen are not comfortable asking their clients what their budget is, and some clients fear that if they share their budget then people providing services will inflate their costs to meet it. Sharing a budget with a Kwik Kloset Spaceman allows us to outfit your closet(s) with the best designs for the money available. We can do everything from elegantly simple to simply elegant - knowing the budget along with goals and contents allow our Spacemen to provide our clients with the optimal solution(s) that fit their needs, both monetary and practically. Thank you again Lillian, I am glad you found Sean to be a good listener, and an inventive, fast, and clean professional. Nice work as always Sean!! We recently had 4 closets and 1 small master walk-in closet done by Kwik Klolset Inc. I didn't think the master closet could look so big after it was done. I now have plenty of storage thanks to the great designing by Tom. We feel the price was fair for the amount of work that needed to be done. The installer was Jenna and she did a fabulous job. We are so please with the work and highly recommend Kwik Kloset to anyone in the market for custom closet organizers. Hi Charlotte! Great to hear from you. It was a pleasure working with you, and I am so pleased to see you made the time to post such a nice review of the designs and installation we provided. You mentioned how big the walk-in looked after it was re-designed. One of the keys to making a walk-in feel bigger is to not put hanging clothes on one or both sides immediately as you enter the closet. Placing shelving on the side(s) as you enter the space provides a wider opening to the closet, keeping the doorway clear of clothes. Putting hanging clothes across the rear wall (usually double-rods if practicable), uses the depth afforded by a walk-in without cramping the space at all. Kwik Kloset's curved rods and shelves make great use of the corner(s) and make every garment accessible - no more ridiculous intersection hanging bars crossing over one another in the corners (what are these builders thinking?!?). Jenna is the daughter of one of Kwik Kloset's earliest franchisees, and has been installing our closet organizers since January 2006. She is the most meticulous installer of closet cabinets etc. you can find. No, really. She will stay and work late into the night to make sure everything is just so - all components of the organizer secure, every extraneous hole capped, and everything wiped down, ready to load with clothes. All of our Spacemen do excellent work (or they wouldn't still be Spacemen), but Jenna gives her work that extra touch, dare I say a female touch? Please don't write or call to complain if you think this is in any way sexist, I mean it has a compliment to Jenna, not a stereotypical observation :). Thanks again Charlotte - enjoy your newly-organized home! Thank you for taking the time to post your review KS. Terry and Kathy opened their Kwik Kloset franchise in January 2006, and have been providing quality designs and installations ever since. They started their business as a family venture and to this day both their clients and mine continue to benefit from daughter Jenna's awesome installation skills. Kathy has proven to be a great designer, both listening well to her clients' needs and design input, and having the right manner to suggest improvement to their design thoughts based on her initial training and years of experience. Great job Kathy and Terry, thank you for your decade and more of service. I am delighted with the closets installed. I needed to have certain extras like a retractable desk top for my computer and also some drawers that could be used for filing. I got them. Tom did an excellent job and transformed a useless room into a bedroom/study. Thank you Tom, I would certainly recommend you. Hi Cheryl, how are the dogs doing? Thank you for taking the time to post this review, I know how busy you are. Yes, the custom retractable desktop was a nice touch - the wall unit turned out beautifully and I was as pleased as you with how it transformed the room. Wall units are an excellent alternative to standard dressers in a bedroom - they store several times as many clothing and other contents and actually take up less space in the room, given the shallower depth we can provide versus the average dresser. 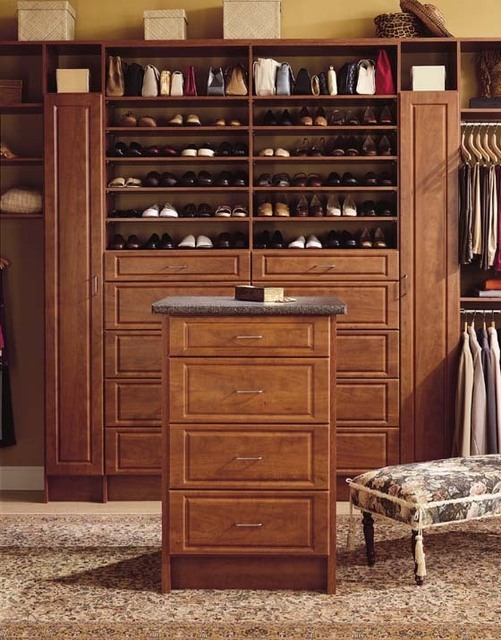 This is a great solution for homes with small closets. We can dedicate the closet(s) to hanging clothes (which is what they were made for and so provide about 24in depth for the purpose), and build our shallower wall units (14.75in including drawer fronts/doors) from floor to ceiling and wall-to-wall. People are amazed at the results of this approach. We double their hanging space and add literally over a hundred square feet of shelving using just over a foot of space on the floor (10' wide wall, 8' high 14" deep closet organizer). If your house or condo has small closets, don't assume your closets are too small for us to help you - you need us the most! Thanks again for your review Cheryl. I am glad things turned out well for your son and I hope your dogs are doing well. More about Kwik Kloset Inc. Closet organizers, garage cabinets, wall organizers, kitchen cabinet organizers, home office desk/cabinets, entertainment centres, storage accessories. White, Antique White, Multiple Woodgrain Finishes, Raised Panel, Contoured Flat, Flat, Premier Profile (from Italy), Real Wood doors and drawer fronts. Quality storage solutions from low-cost wire to high-end dressing rooms, entertainment centres, beautiful and functional home office and garage.